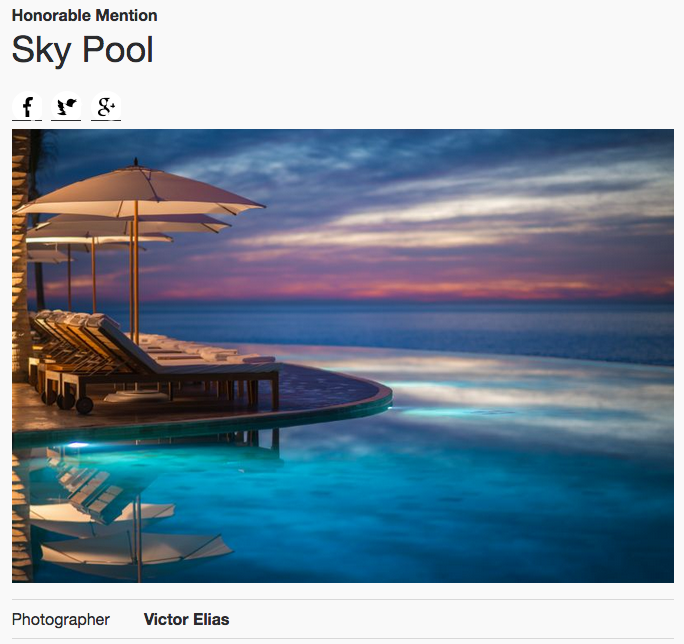 … it was no surprise to find not one but two of his images making the honorable mention list. 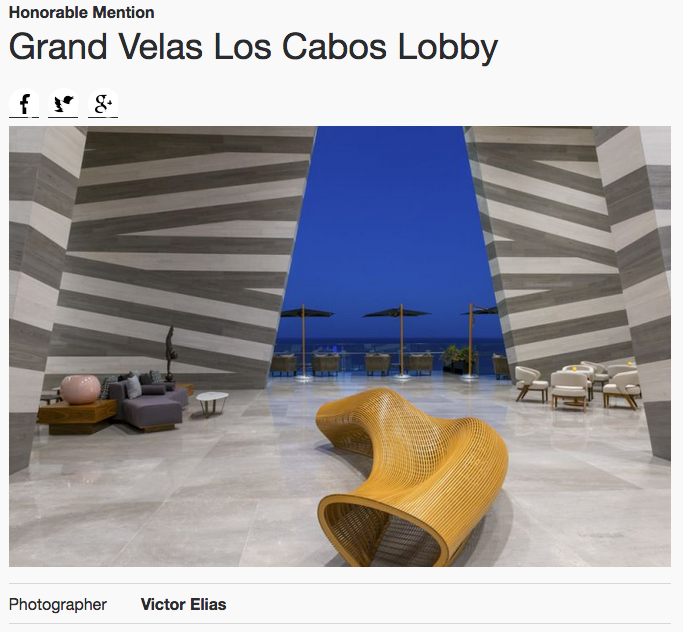 APA Northwest Pro member Victor Elias, a hotel / resort / travel photographer based in Portland, OR, travels the world photographing beautiful hotel and resort properties, as well as great lifestyle and travel imagery. Victor's list of clients includes prominent hotel chains like Starwood, Marriott, Hilton, Wyndham hotels and boutique hotels big and small in Latin America and the Caribbean. So when the 2018 International Photo Awards came out, it was no surprise to find not one but two of his images making the honorable mention list. APA Northwest congratulates Victor on his well-earned recognition!